The GUITAR BOUTIQUE is a special section for premium instrumentsthat are extremely rare, antique, limited edition, or unique, hard to find, or custom-made. Most of them are manufactured with a high degree of hand crafting. All of these instruments have been personally and expertly selected by us, personally selected from a handful of similar pieces, tested and tuned to perfection. They are premium musical instruments, amplifiers, and effects that have high musical, historical, and collector's value. In this section, you will find lesser-known brands that are underrated yet equal, or even exceed the most famous models in level of quality. 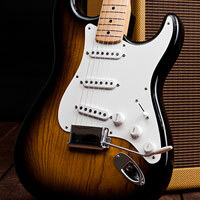 The vintage guitar and vintage guitar amplifier and effects categories feature used instruments made before 1987. However, “younger” pieces can also find their way into this category. The value of a vintage guitar lies in the fact that they are made from materials that are no longer available today and manufacturing techniques with a high degree of hand craftingwith which these instruments were made. Another essential factor in the value of these instruments is “ageing,” or the maturation of the materials, and years of playing, which brings out a better tone. Also important is the fact that many of their parts can no longer be manufactured today as they were in the past. And of course let’s not forget the historical, collector’s, and investment value of these instruments in which the demand is often higher than the supply. The fine guitars category features instruments of contemporary production (1990s–present) that are high-end, rare, limited edition, or hand-crafted. Our selection includes entirely new varieties, but most are custom reproductions of existing – yet unattainable for mere mortals – guitar icons valued at hundreds of thousands of dollars. Our fine guitars are produced from the finest materials available today using techniques contemporary to vintage instruments, usually with a high degree of hand crafting or in limited edition series of just a few dozen pieces. These “Fine” guitars are hand-crafted in the USA, Japan, and Europe, and are premium sound pieces which we once again select from a handful of identical or similar models. These guitars can be either brand new or second-hand in 100% playing and collector's condition. This same division applies to guitar amplifiers and effects. All of our vintage and fine amplifiers are professionally cleaned, gauged, serviced if needed, and acoustically calibrated with the most suitable components. The vast majority are hand-soldered “wired” amplifiers, combos, and effects. Upon customer request, we can also adjust amplifiers exactly for their style of playing and taste. When analysing and tuning boutique amplifiers, we use solely premium spare parts (a combination of tubes from various manufacturers—original or the best possible capacitors—and years of “know-how” that gives us the ability to know exactly how a vintage amplifier should sound and how far we can take it). When buying a true vintage original (and not a fake piece or a real one with sub-par parts), you need to have a great deal of experience. Our specialists have been dedicated to searching for and buying vintage instruments since 2001. Our customers will take home a guaranteed original instrument with clear specifications of what parts are original and what was (if anything) replaced with new or repro parts. These instruments also include a certificate and photographic documentation,which means you will receive all of this information clearly documented and photographed. The certificate will also prove the customer’s ownership of the instrument. Instruments and amplifiers will be professionally cleaned, tuned, and adjusted according to the customer’s wishes and calibrated to fit their needs and requirements. We only use original or carefully selected spare parts that are as close to original as possible and preserve the vintage character of these instruments and amplifiers (such as electrolytic capacitors and tubes). 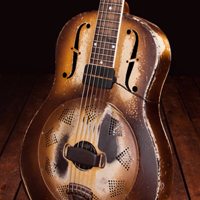 All of our boutique instruments – including vintage (antique) models – carry a warranty. Undoubtedly one of the greatest advantages of buying from us is being able to select from a number of Boutique pieces and models in one place. No other place in the Czech Republic or Slovakia offers this many boutique and vintage instruments in one place. Our wide range of boutique guitars and amplifiers offers the customer the advantage of direct comparison, which means they can be certain they have chosen the perfect piece for them. The instruments from the guitar boutique have a high collector's value and, just like works of art, are also a smart investment. Did you know that there are other ways you can sell your valuable instrument than through an on-line marketplace and that there's no need to waste time selling it yourself? We offer a consignment sale service for your musical instruments and gear that will attract more potential buyers through our Boutique. Our customers can try out the guitars in our fully-equipped studio with a wide range of boutique amplifiers. 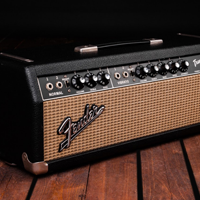 Customers have the opportunity to plug in famous guitar models when trying out amplifiers. Our store is open weekdays 9 a.m.–8 p.m., and on Saturday 10 a.m.–5 p.m. Prospective buyers also have the option of buying from us on instalments. Our team of trained sellers assist customers in during their purchase and ensure that nothing happens to the instruments in our boutique section. They make sure that they are not scratched from mishandling, in short, we take care of our Boutique instruments as if they were our own. Entrusting the sale of your instrument to our experts is simple. We are very well-versed in the price ranges for collector’s musical instruments, and can recommend the best sale price. The commission cycle typically takes 2 months, and we will also display your instrument in our e-shop during this time. Our copywriters will provide the merchandise with a description, and we will also photograph it in our specialised photo studio. In special cases, for highly valuable instruments, we can offer individualised conditions. So how does it work? You will start by taking preliminary photographs of your instrument and sending it to boutique@kytary.cz, along with a short description (model, age, condition of the instrument), or you can call us at +420 770 128 773, where we can discuss the details.